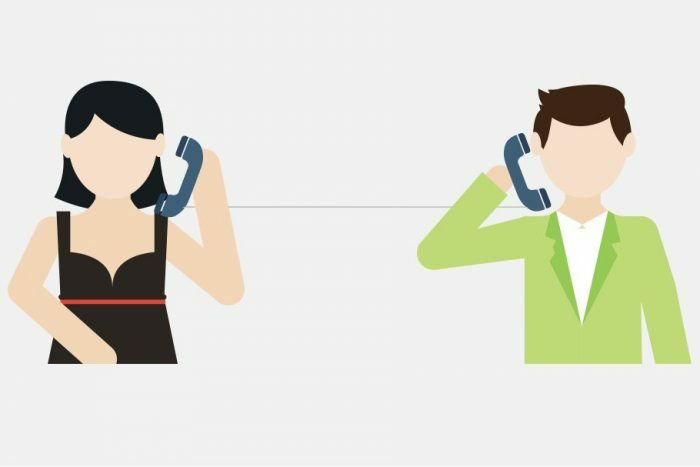 Why do recruiters conduct phone interviews? Communication style is one main reason, but it’s more than that. It’s because we can hear talent. A good recruiter can pick up the candidate’s personality, excitement for the role and company, and their wow factor. That’s why most recruiters still use phone interviews as the first step in the interview process. I conduct around a 30-minute interview on each candidate before continuing the interview process. Afterward, I type up a quick synopsis of the candidate overall, which includes the pros and cons, along with additional insights like what a hiring manager might what to probe more in-depth. When I have a ringer, like I’m super excited about a candidate, I find myself calling the hiring manager. Why, because it’s difficult to extract the tone and wow factor of the conversation I just had with the candidate and convey that to the hiring manager through email. However, there is still a barrier that I run into with trying to call and talk with the hiring manager about the candidate. After all, hiring managers are busy people with little time to invest in the interview process. It’s a miracle to get them to block off time to meet with a candidate, let alone have time to talk about the candidate before they even come in. Therefore, emails with a synopsis are sent. The problem, great candidates, get denied interviews because the hiring manager didn’t even read my synopsis. They took one look at the resume and said, “Nope. Not worth the little time I have meeting them.” Que heartbreak and frustration. A disconnect happens. Recruiters are asking great questions, and hiring managers don’t hear the perfect answers. This is where Honeit comes into play. I reviewed and researched Honeit, which is an interview technology platform that focuses on the interview process. Honeit is made up of three simple components, scheduling, screening, and sharing. Honeit provides an easy-to-use link that can be embedded into any ATS email. I personally received an email from the Co-Founder & CEO, Nick Livingston. It allowed me to select two times and dates that best worked for me and my schedule. So regarding candidate experience, it was easy to use and also took into consideration my time. The screening consists of simply having a conversation with the candidate. No worrying about scribbling notes down. Or, in my case, hurriedly trying to type every word the candidate is saying because Honeit records the conversation. So, as a recruiter, I can focus on what the candidate is saying vs. being scared I’ll forget the perfect answer. After it’s all said and done, Honeit would then allow me to share highlights and those perfect answers with the hiring manager. Honeit’s mission is to take what seems like an archaic form of interviewing and turn it into a collaboration with hiring managers. It allows for recruiters to ask the great questions and have the hiring managers listen to the perfect answers. At that point, they can conclude together what makes a good vs. great answer. Ultimately, recruiters aren’t experts in every job occupation, although I’d like to think so. Honeit claims to help eliminate the misrepresentation and bias in the selection of the candidate’s process because the hiring managers hear for themselves the great answers. In my situation, it would no longer matter if I wasn’t able to connect with the hiring manager via phone because I could choose two to three Q&A that I wanted them to hear and send the sound bite within an email. It takes the disconnect of option and turns it into more of a consultation. It’s sharing of data vs. perceptions and options. What I found fascinating about Honeit is they took the simple phone interview concept and somehow turned it into a revolutionary audio intelligence. All of a sudden the conversation turns into quality data. It takes real-time communication and takes the next step of turning information gathering into analytics. How does Honeit do this? It allows a recruiter to start touching the metric of quality of hire. What question was asked? How did the company’s best employees answer the question? But most importantly, Honeit allows for easy extracting of the audio intelligence to be integrated and stored to any ATS. I would say that overall Honeit seems easy to use and would help to empower recruiters. Interested? If you are attending SourceCon, Honeit is a featured company that you can chat more with during the Innovation Labs.